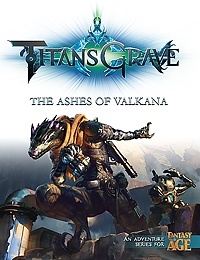 As it does every year, Gen Con has required a bit of recovery time, and this has thrown us off our PDF schedule a bit this week. 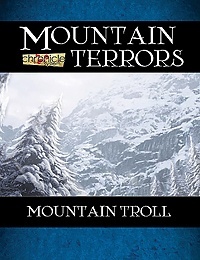 Today we have two PDFs for you, Mountain Terrors: Jumping Fox for the Chronicle System, and Rogues Gallery: Pandemic for Mutants & Masterminds. Both PDFs are available for just $1.29 apiece. Dwelling in the foothills and lower mountain reaches, jumping foxes are larger than other foxes. Though they are not normally a danger to people, they can be fiercely protective of their young. Some folk have taken advantage of their predatory nature and lack of fear around humans to train them as hunting companions. 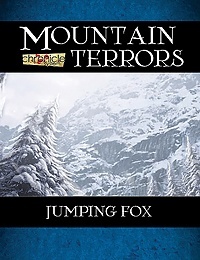 Encounter the jumping fox today! 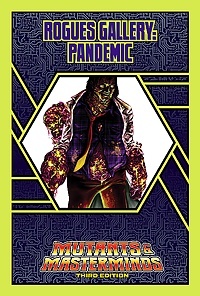 Pandemic is a combination of Earthly diseases and alien DNA that interacted in unpredictable ways and grew to become a new life form—a sentient life form that understood its existence would be treated as a threat. So, rather than wait for its destruction, it decided to ensure its survival and spread its diseases far and wide!